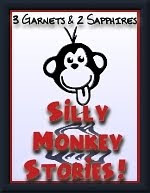 3 Garnets & 2 Sapphires: Silly Monkey Stories: One Tooth, Two Teeth, . . .
Silly Monkey Stories: One Tooth, Two Teeth, . . .
For last week's Silly Monkey Story, I was sharing about how my son has had three loose teeth that we thought would never come out. Well, boy were we wrong! Since I published that story, our son has lost his first tooth and his second. He lost both teeth during two different meals. The first one, we suspect he swallowed because it could not be found anywhere. 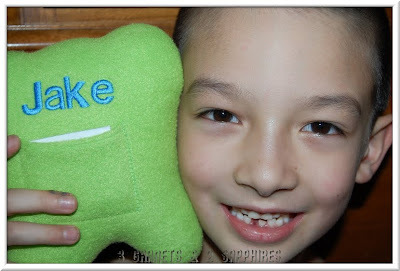 We were not sure what the protocol was as far as the Tooth Fairy went, so we had him write a little note saying that he owed her a first tooth and had him tuck it into his tooth pillow's pocket where the lost tooth would normally go. 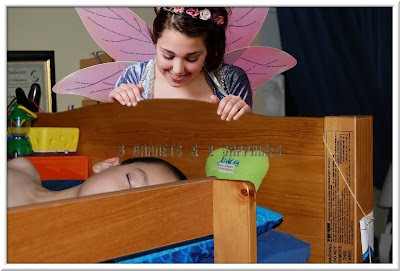 Our son was so excited, he could not fall asleep the night of the Tooth Fairy's first visit. He even started to get upset because he thought he was ruining her first visit by not being able sleep. He did eventually doze off around 2:30am and the Tooth Fairy did pay him a visit . . .
Luckily, he had no problems falling asleep the night he lost his second tooth . . .